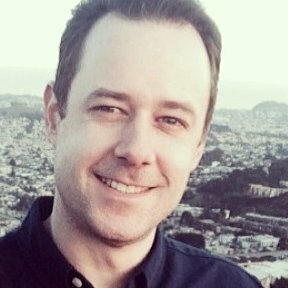 How do I fix embedded survey form that has stopped sending email notifications? To my understanding you are having issues with a survey form you are using on your website put there by a web designer whom is no longer with you which you have suddenly stopped receiving email notifications about. 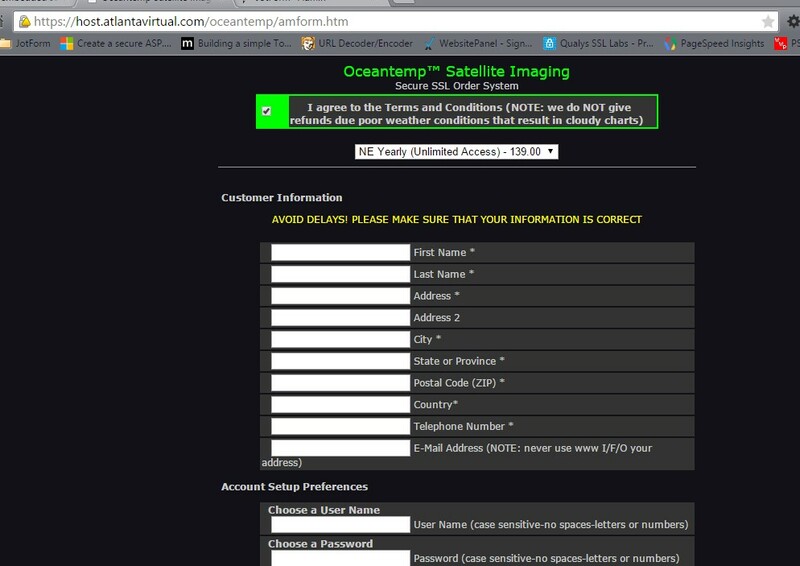 I did some digging and found the actual page your form is on is here http://www.oceantemp.com/1mainframe.htm?join.shtml~main which I traced to this original form here http://www.jotform.us/form/21295674106151 that was embedded there by your web designer. Currently, the form resides on a Guest Account which explains why it may be unaccessable if the computer original browser cache was cleared as I see there is no listed email address or even an ip address for it. I did look at your email address for "survey@oceantemp.com" but it is not listed in our bouncelist and unfortunately we can't log into Guest Accounts to see what had happened. This leaves you with two options to try to fix this problem. Option #1 - (Recommended) The easiest way to resolve this problem permanently would be for you to register a new account using since the form you showed us on the site matches as proof and we can move it to your new account. Once that is done you can check and update the email notification for it if needed. Option #2 - Since you are not in the bouncelist and "survey@oceantemp.com" is where you originally said you were receiving the submissions you can try having your email host whitelist jotform if you don't see them in your junk|spam folder and that might fix it as I can see the Guest Account is active. This guide here http://www.jotform.com/help/208-How-to-setup-email-alerts-to-prevent-email-bouncing-related-issues may also help. The survey page I posted a photo of has a selection called "other" wherein the customer can enter text to elaborate on the survey. This portion of the page is NOT working any longer as it will NOT permit any text to be entered. I asked my new web person to please fix this and he told me that he needs to get into my old account on jotform to fix it. As I had explained in my original posting, the old web guy set this up for me and is long gone and did not tell me how to get into my old account on jotform. 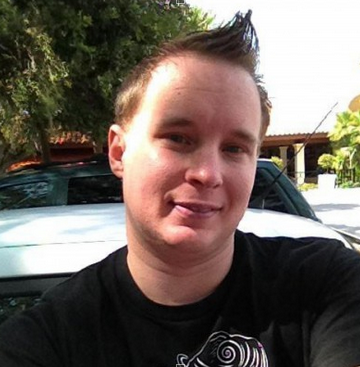 Q-->can you get me a new username and password to get into my guest account? I really need to get this fixed soon as this is the time of year that I really utilize the survey. You are very welcome and currently it appears that you've created a new account for "oceantemp". If you would like we can certainly transfer the forms to your current account if you wish. Unless you would prefer to have it entirely on a separate account? It does not matter to me.... Whatever is the easiest way ...you may certainly transfer the forms over to the new current account if I cant log into the old one as long as it will continue to send email to survey@oceantemp.com and the web guy can fix the "enter text" problem I spoke about. Was my guy correct.... does the "text" problem have to be fixed on jotforms end? Hi Kade JM ... What happewnd to you? I have not heard any response since May 19th? are you going to transfer the forms? Hi Fred, please accept our apologies about no response for the last couple days. I found your previous to last response didn't arrive in our support inbox correctly so I'm glad about the followup response you just wrote us again so that we could continue with your problem. I went to move the mentioned form "http://www.jotform.us/form/21295674106151" to your current account and found it is deleted. Unfortunately because of that I am unable to transfer it for you. The reason why it is still showing on your website is because it looks like the full source code was used to embed it there. Perhaps the original account holder the form was on might have logged in and deleted it. Ok...Im lost ..please tell me what i need to do or what i need to tell the web guy (whos almost never available) to do to get my survey page on my website back up and running... Im basically clueless with most of this stuff so please walk me through it -OR- let me know of you folks can do the work. Can you please explain where to find the following form on your website? I have browsed though the site, but have not found it. Hi Mike ... Yes ...of course, and thank you for helping me! There are two (2) identical forms located in two (2) separate areas of the website. 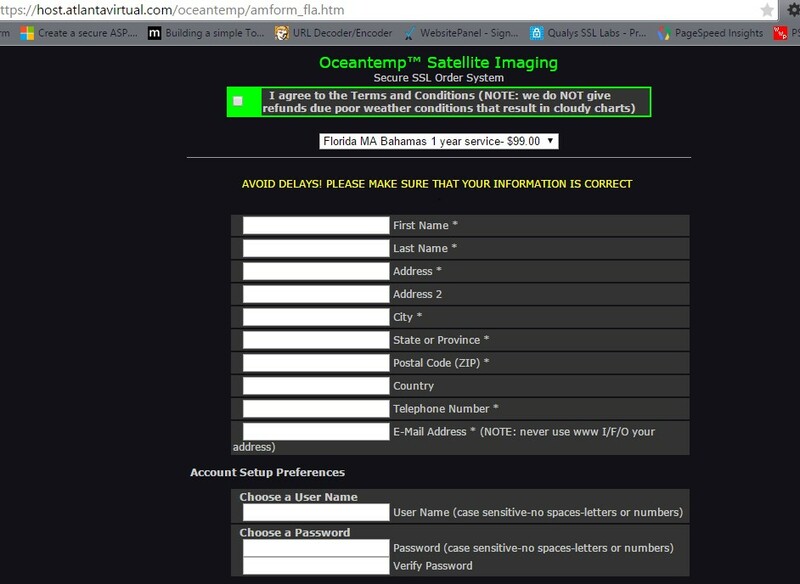 When a customer wants to join (sign-up) for the North East region -OR- the Florida Bahamas Region he/she must first select the region they want on the sign up page located at www.oceantemp.com/join.shtml . After region selection, they are taken to a Terms and condition page and after that they are taken to the page with the form pictured above. After they fill out the form they are taken to the actual orderform or (shopping cart) page. As I explained to KadeJM, I am getting emails to survey@oceantemp.com however the "text field" where a visitor can enter text is not working on either form. It does not allow you to enter any text. I've checked both pages, but the forms that are shown were not built using our system. Can you please confirm if these are the forms you're referring to? Or did I miss a step? Raul ... The shopping cart pages shown above are not what we are looking for and are PAST the survey form page you folks wanted to see. You had to PASS by the survey form pages to get to the shopping cart pages pictured. The survey form page we have been referring to is located on the page just BEFORE the shopping cart snapshots you display. You went one click/page too far. I wrote step by step guidance on May 30th message on how to get to the survey form. Please try again. Since your form was embedded using the source code, the code for the form itself is still there. However, it appears as though the actual JotForm form was deleted. Since the form was deleted, we cannot update the form or check the settings to make sure it is working. Normally, we would recommend that you update your notification settings then embed the new code for your form to your page, however, since the form does not exist to update, there is not much we can do. We can help you to recreate the form if you would like. You can then embed the new form to your page. Short of that, there is not much we can do to update your form. David Just one qiestion... Im a but fuzy with this stufff... you say it was deleted... was it deleted on my end (my website)? or did it reside off site? Ok than recreating it would be the way to go then .. Yes... lets do that. What do we need to do? The form was deleted from JotForm. Since your web designer grabbed the source code of the full, they pulled a full copy of the form and embedded it to your page. This is why the form still appears in your page. However, since the copy the was stored on JotForm was deleted, the form can no longer be edited, moved or updated. You have a copy of it on your site, but it lacks most of the JotForm functionality. If it looks like the original form, we can help you get the styling to match.